Main general objective of this term paper is to analysis Performance Appraisal of Pragati Life Insurance Limited. Here also focus on to understand the strategic planning and implementation process of Performance Appraisal at Pragati Life Insurance Ltd. Finally identify the executive level and officer level strategies of Performance Appraisal and also identify a problem in performance evaluation system and recommend strategies for the improvement, which will strengthen the company’s overall effectiveness for serving its objectives. To identify the executive level and officer level strategies of Performance Appraisal Pragati Life Insurance Ltd.
To identify a problem in performance evaluation system and recommend strategies for the improvement, which will strengthen the company’s overall effectiveness for serving its objectives. Secondary data was analyzed to gain further understanding of the performance appraisal system of Pragati Life Insurance Ltd. Service rule was extensively used through out the term project since it provided both validity and credibility. Sources of primary data: interviews with different Top and Mid level managers at Pragati Life Insurance Ltd.
Sources of secondary data: service rule and other documents of the organization, industry journals, web sites, etc. Pragati Life Insurance Limited is a public limited company incorporated with the Registrar of Joint Stock Companies and Firms and registered under Department of Insurance, Ministry of Commerce and Government of the Peoples Republic of Bangladesh to transact life insurance business in Bangladesh. Pragati Life has started its operation in the early 2000. Pragati Life has successfully completed its six years of business operation and stepped into the 7th year, but already it is regarded as one of the successful life insurance company in Bangladesh. During this short period, the company has earned a respectable position in the market and has gained firm confidence in the mind of its clients. The success is primarily attributed to prompt and bold decision making, efficient and cordial services, cost containment, effective use of resources and introduction of new diversified products and technologies. 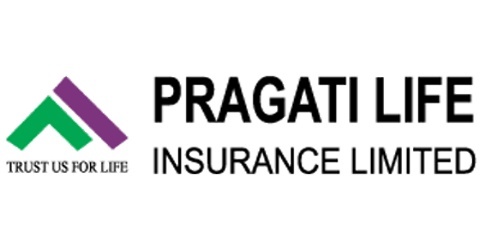 The Board of Directors of Pragati Life are comprised of a group of dedicated and renowned business entrepreneurs of the country and have already proven their commitment and services in General Insurance through Pragati Insurance Limited. Now, they are committed to do even better with Life Insurance through Pragati Life Insurance Limited. i) To run and manage the affairs of the company smoothly, efficiently within the frame-work of the rules and regulations of the company and guidelines given by the Board and the Committees and to promote a healthy organizational climate for most effective utilization of the services of the company’s employees in achieving the goal of the company. ii) To ensure optimum client’s service and satisfaction through appropriate marketing strategies and expansion. iii) To endeavor most in talent hunting to be recruited for various jobs and business of the company through it’s laid down procedure for smooth effective and efficient operation of the company. iv) To prepare realistic budget including the fixation of half-yearly and/or yearly business target and also to ensure that such targets are achieved. v) To ensure maintenance of proper accounts of every aspect of the company. vi) To ensure timely submission of financial, administrative and other information to the regulatory agencies of the Govt. vii) To evolve most economic system of managing the company to keep the expenditure of the company under control within budget. viii) To develop an efficient and effective system through optimum utilization in available human resources for development of company’s business and speedy and profitable growth of the company itself. ix) To ensure the most profitable use of company’s fund through proper and effective investment. To prepare appropriate investment port-folio for the approval of the Committee/Board. x) To ensure economic purchase of equipment, furniture, vehicle, stationery, other consumable stores. xi) To explore investment opportunities in and outside the country. xii) To judiciously and expeditiously settle claims against any risk undertaken by the company. xiii) To avoid any and all such business where company may run for unnecessary/undesirable/inevitable risk and claims. xiv) To prepare judiciously plan for expansion of company’s business through opening of branches. xv) To evaluate the marketing strategies and policies with their effectiveness for achieving the objectives of the company. xvi) To ensure that company’s accounts, financial matters etc. are regularly and periodically audited both by the internal and external audit. xvii) To prepare report on any other matter relating to finance, accounts, Company’s business as is required statutorily or as is required by the Committee/Board. Individual Product Line-deals with insurance policies of individual persons & their special needs. Pragati Bima Division (Insurance for low income group)-deals with individual policies of low-income group people on monthly premium basis. Group Insurance-deals with insurance coverage for the employees of corporate/institutional lives at a very low cost. Health Insurance-deals with hospitalization insurance coverage of both individual & employees of different organizations. PLIL has opened a new business wing Islamic Insurance Division in 2005 which is operating on Islamic Rules (Shariah). Under this new division Individual Product Line and Pragati Bima Division is also marketing the products. PLIL is dedicated to provide innovative products, specially designed to meet your objectives while furnishing you with safety, liquidity and a competitive rate of return currently and in the future. Pragati life and its representatives are not only committed to providing you with quality products, we are here to serve you even after the sale. We are never far away than your telephone. PLIL philosophy is best described as maintaining competitiveness balanced with prudent management and fairness to all our policyholders. We believe in adhering to basic principles of insurance and sound financial management while balancing the scales between safety of principle and competitive rate of return to our policyholders. A Performance Appraisal Committee authorized by the management will analyze & review the employee’s performance for a specified period. The appraisal of all employees of PLIL will be held each year in the month of January. A predetermined form with evaluation criteria will be provided to the concerned Head of Department. After assessment of his/her performance, the filled in form with recommendation will be placed to the Committee. The Committee shall then submit recommendations to the Management for final approval. Normal Annual Increment up to two (2) in the existing scale of the respective employees may be given to the Executives/Officers/Staff by the Managing Director and this will be made as per ACR report submitted by the Unit/Branches Head and on the basis of individual performance. Special increment, beyond two increments may be given by the Appraisal Committee on the recommendation of the Managing Director. When increment of an employee is ordered to be withheld the authority passing the order shall state the period for which it is to be withheld, and whether the postponement shall have the effect of postponing future increments; and if so, for how long. Where the order fails to specify clearly for what period the officer is to be deprived of his increments, the deprivation shall be held to cease on the expiry of the period during which the officer would have draw the increment initially withheld. Moreover, unless the order provides otherwise, the officer shall, when the deprivation ceases, be restored in all respects to the same position in the time scale as he would have occupied had the order not been passed. Prior to the end of probation period, an assessment will be made about employee’s performance. If it is found satisfactory a letter of confirmation will be issued to him/her. If not, the probation period will be extended further or his/her appointment will be terminated as decided by the Management. Where a vacancy exists within the Company for which internal candidates are sought from a lower grade. When an employee is selected for a higher position on the basis of open competition. For non officer level, promotion would be considered after completing three/four years of service in his/her grade. For junior level officer, promotion would be considered after completing two/three years of service in his/her grade. For mid and senior level officer, promotion would be considered after completing three/four years of service in his/her grade. Executives/Officers/Staffs/Employees in a private sector establishment are generally interested in the total pay and emoluments rather than the basic salary. Keeping that in view, the pay and salary structures have been fairly and equitably fixed. This may, however, be reviewed from time to time with the economic situation in the country and most preferably with the business development and growth of the company. Charge Allowances: This allowance is given to the employee when an executive or officer is asked to perform the duties of an office in addition to the normal duties. Development Allowances: The staffs who are directly related in the business development of the Company are provided with development allowances for increasing company’s business and portfolio. Technical Allowances: This allowance is paid to the employees who are performing the technical works (i.e. computer programming, Accounting, Investment, Actuarial valuation, Board affairs etc.). Cash Allowances: Employees who deal with cash handling jobs are entitled to receive cash allowance. Branch Allowances: The employees who are working in the Service Centers/Zonal Offices/ Area Offices are entitled to receive Branch Allowances according to the rank and position. Residence Staff Allowances: Only Senior level officers are entitled to receive the allowance. Basic pay, Daily Allowances, Entertainment Allowances, Driver Allowances of Tk………per month, Fuel Cost (C.N.G.) at actual, Residence Telephone and Mobile allowance at actual for MD and JMD and Tk…………per month for DMD, AMD and Company secretary, Residence utility charge at actual for MD and JMD and Tk……….per month for DMD, AMD & Company Secretary, Residence Staff Allowances of Tk………… per month. One month basic or 60% of the consolidated salary will disbursed to the employee as bonus. Drivers who does not have appointment letter will receive 40% of their respective salary as Festival Bonus. The Probationary Officer will receive 60% of their monthly consolidated salary as incentive bonus. If the employee resigns or terminated from the service before 1 (One) year period, or is not retained in the service after probationary period, the entitlement shall be calculated on pro-rata basis, and any excess festival bonus paid shall be recovered from the employees due. Employees who have completed at least of 120 days of service from joining are entitled to receive bonus. Incase of Drivers who does not have appointment letter have to complete at least 1 (One) year of service. Business performance will also be taken into consideration in case of the Drivers of the Development Officers. Muslim employees will get the festival bonus during two Eids, Hindu and Christian employees will get two festival bonuses during Durgapuja and Christmas day respectively. The employees who are regular, fulltime and confirmed in their post. The employees who have completed at least 2 (two) years of services as on 31st December of that financial year will get such bonus equivalent to 1 (One) month’s basic pay. The employees who have completed at least 4 (four) years of services as on 31st December of that financial year will get such bonus equivalent to 2 (Two) month’s basic pay. The employee who have completed at least 6 (six) years of services as on 31st December of that financial year with good performance will get such bonus equivalent to 3 (Three) month’s basic pay. The employee who have completed at least 10 (ten) years of services as on 31st December of that financial year with good performance will get such bonus equivalent to 4 (four) month’s basic pay. Management has the sole discretion to allow or refuse such bonuses entitled to the employee or mentioned in the terms & condition of the employment letter. Those who have either been terminated or dismissed from the service of the company for corruption or misconduct or any other irregularities for a specified period. Those who have submitted resignation or left the service on their own. Those who are accused, reprimanded and charged for financial or any other major irregularities for a specified period. Those whose annual review has been held up for any reason for a specified period. Every confirmed employee is eligible to be a member of Pragati Life Employee Provident Fund. The membership will be effective from the date of confirmation. As a member of the fund, the employee shall contribute 10% of the basic salary each month. The Company shall similarly contribute an amount in accordance with the following scale. If an employee leave Company’s employment before completion of 5 (five) years service, Company will not contribute any amount to his/her Provident Fund except his/her own contribution with interest thereon. The total amounts so contributed shell be paid by the Company to the employee. Service with the Company more than five years but up to six years: 3% of the basic salary. Service with the Company more than six years but up to seven years: 4% of the basic salary. Service with the Company more than seven years but up to eight years: 5% of the basic salary. Service with the Company more than eight years but up to nine years: 6% of the basic salary. Service with the Company more than nine years but up to ten years: 8% of the basic salary. Service with the Company more than ten years: 10% of the basic salary. Every permanent employee is entitled to receive gratuity equivalent to two month’s basic pay for each completed year of service up to a maximum 25 (Twenty Five) years after completion of at least 10 (Ten) years of service with the company. No employee shall be entitled to gratuity if she/he has not completed at least 10 (Ten) years continuous service with the Company. The last pay drawn by the concerned employee shall be the basis for calculation of the gratuity under this rule. In the case of employee who dies during service, gratuity may be paid at the discretions of the Board even if the total service of the employee with the Company is less than 10 (Ten) years. Gratuity will be paid on discharge, resignation or retirement of an employee. Gratuity shall not be paid to an employee who is dismissed from the service on disciplinary ground. The amount payable on account of gratuity shall be paid to the employee and, in case of a deceased employee to his/her nominee and, where no nomination has been made to the heirs of the deceased in accordance with law of inheritance, if the employee is a Muslim, and in accordance with religious or other practices, if any incase of others. All the permanent employees of the Company shall be covered under the plan from the date of confirmation. If any employee dies irrespective of the cause of death, the company shall pay to his/her nominee(s) or in absence to his/her legal successor the sum assured. In case of accidental death, an additional sum equal to death benefit as stated above shall be payable by the company to his/her nominee(s) or in absence to his/her legal successor. In case of Total and Permanent Disability resulting from bodily injury directly through accidental means, which prevents the Insured Employee from engaging in any business, occupation or work whatsoever for remuneration or profit and which disability has continued uninterruptedly for a period of at least six months and has been certified to be incurable by a physician approved by the Company, then subject to provisions of the Contract, the Company shall pay to the employee the sum insured stated in the sum assured table and the insurance for the said Employee shall terminate. vi) One eye and one foot above the ankle. Should an Insured Employee becoming totally and permanently disabled dies within 365 days from the date of such disablement the Company shall pay his/her nominee(s) the sum insured as stated in the Schedule 5.5.2.9 in respect of the said Employee. Permanent disabilities not mentioned above shall be compensated in accordance with their severity as compared to those listed. Permanent, partial or total loss of the use of a limb shall be deemed to be the same as permanent, partial or total loss of the said limb. No indemnity is payable for any pre‑existing degree of disablement and if further injury occurs; only the difference between the condition prior to and after current injury shall be considered. HRD shall submit a list of employees giving Name, Designation, Date of Birth, and Date of confirmation to the Group Insurance Department before commencement of such benefits. Thereafter, whenever there shall be a change in the list of employees i.e., changes due to Change in Designation, Resignation or Joining the company, HRD should intimate to the Group Insurance department within 48 hours of such occurrences. The HRD shall also collect and preserve a Nomination Form in respect of each employee. The rate of premium for Tk.1, 000/= sum assured per annum would be Tk.6.00 (Taka six) only. On the basis of employees list submitted by the HRD, Group Insurance Department shall submit premium bill to HRD for payment. Pro-rata premium shall be charged for new employees or whose designation has been changed effective from the date of such changes. The Company shall pay the whole premium on behalf of the employees. Sum assured of each employee shall be determined on the basis of his/her present designation as stated in the following table. The scheme shall be effective from the 1st day of April 2001. All the permanent employees shall be covered under the plan from the date of confirmation. HRD shall submit a list and particulars of each employee giving Name, Designation, Date of Birth, and Date of Confirmation along with name, date of birth/age, occupation of spouse, and dependent children to the Group Insurance Department. Thereafter, whenever there shall be a change in the list of employees i.e., changes due to change in Salary, Resigning or Joining the Company, HRD will intimate to the Group Insurance department within 48 hours of such occurrences. Who are Covered: Employee, Spouse, and Dependent children (Max. two children). Claim limit shall be equivalent to one’s 3 (Three) months basic salary plus Tk. 20,000 per annum. Hospital Daily Room & Board: @ 75% of actual daily room and board charges but not exceeding 2% of Claim Limit per day for the period during which the insured shall actually be an inpatient of the hospital subject further to a maximum of 30(thirty) days for any one confinement. For the purpose of this benefit two or more confinements for the same cause or for any complications arising there from shall be regarded as one confinement if such confinements are not separated by more than 90(ninety) days. 12) Ambulance service to and from the hospital. Surgical Charges: The actual amount but not exceeding the customary fee or charge per surgical operation for any one confinement. Provided that reimbursement of expenses payable according to provisions of the above categories added together shall, in respect of one plan year, not exceed the limit as shown against his/her name in the schedule of insured(s). Any food or food supplements, antiseptics, cosmetic cream etc. Any cosmetic or plastic treatment/surgery unless required as re-constructive surgery as a consequence of injury due accidents/burns. Hospitalization as a result of pregnancy or child birth. The rate of premium shall be 3% of annual basic salary per year. 1/3rd (One-Third) of the premium shall be payable by the Employees and shall be deducted from their respective salary and the balance 2/3rd (Two-Third) shall be borne by the Company. On the basis of employees list submitted by the HRD, Group Insurance Department shall submit a premium bill to HRD for payment. Pro-rata premium shall be charged for new employees or whose salary has been changed effective from the date of such changes. Prior to admission in a hospital/clinic the Employee must complete a Staff Hospitalization Form and submit it to HRD along with consulting Doctor’s Advice Note. HRD then forward it to Group Insurance Department. Group Insurance Department will then justify the prayer and issue a Letter of Authorization for Hospitalization or reject the prayer and inform the employee accordingly. In case of emergency, prior authorization is not necessary; however, the concerned employee must notify such occurrence to Group Insurance Department through HRD within 48 hours of such admission. The Employee shall submit claim through HRD to Group Insurance Department in the prescribed form along with all original-supporting documents for reimbursement of expenses. The scheme shall be effective from the 1st day of October 2000. All confirmed employee’s basic salary is defined according to the pay structure of the company. In case of consolidated salary, the basic salary would be defined as sixty percent of the consolidated gross salary. All regular employees are entitled to receive cost of travel and daily allowance as per approved mode and rate according to the grade of the post for self and dependent family for each day of journey actually required for joining on transfer that necessitates a change of residence. 02 02-07 AC Coach or 1st Class/AC Train/ Steamer or Economy Class by Air + Local Conveyance by Taxi/Baby Taxi. 03 08-09 AC Coach or 1st Class/AC Train/Steamer + Local Conveyance by Taxi/Baby Taxi. 04 10-11 AC Coach or 1st Class Seat by Train/Steamer + Local Conveyance by Baby Taxi/Rickshaw. Daily and Travel Allowance will be paid for tours outside the duty station only. Each tour must be approved by the concerned authority before commencement of journey. Claims regarding all travel costs must properly be supported by Tickets/Bills/Vouchers as required by this rule. Where Company’s vehicles are used, actual fuel cost with toll charges will be reimbursed. Full DA shall be given for tours of minimum of 24 hours which will be calculated from the starting time up to the time of return to duty station. Lodging allowance will however be paid for overnight stay. 25% Food Allowances will be paid, if the tour is for at least 6 hours, 50% Food Allowance will be paid, if the tour is for 7 – 14 hours; and 75% Food Allowance will be paid if the tour is for more than 14 hours but less than 24 hours. No DA will be paid for tours within 20 KM distance of the duty station, but a meal allowance equivalent to maximum 25% of Food Allowance will be paid. Claims for travel and daily allowance duly authorized by Line Manager/ Head of Department must be submitted to the accounts department along with supporting documents (Tickets/Bills/Vouchers) within 14 days of Travel. Otherwise bill may not qualify for reimbursement. Lodging expense should be supported by Hotel or Rest House Bills (except Grade 20-24). Only 50% of ceiling for Lodging and Food Allowance will be paid when the bills are not submitted. Outside staff should submit the bill to the Head of the Division within 30 days and to the Accounts Department within 45 days of tour. Local conveyance means travel up to a distance of 10 Km (Approx.). Public Transport such as bus/Coach must be used for distance excess of 10 Km. Tickets/Vouchers for local conveyance need not to be submitted, but the Head of the Department must certify the bill. This rule is not applicable for the Grade 01-08. Officers in Grade 01-08 are entitled to Incidental Expense Allowance of Tk.400 (Taka Four Hundred) only for each tour (If the tour is for more than 24 hours). For Overseas tours, TA& DA would be decided by the Managing Director. Incase of Transfer from one district to another district an employee is entitled for TA and a maximum of 2 (Two) days DA. If an employee is transferred at his own request, he/she would not be entitled to any TA/DA and Allowances for transfer of personal effects. An employee is not entitled to receive any TA/DA for any journey involved on taking up/ joining his/her employment with the company. In case of transfer, Transfer Order and Joining Letter must be included with the claim. Under special circumstances MD can vary the above allowances/limitations. In case of attending training, conference or special meetings where allowances are fixed or Food and Lodging are provided by the company, this rule will not be applicable. Any fraud or unfair means adopted in supporting the bills/documents will considered as misconduct, resulting in disciplinary measure and forfeiture of claims. Proposed allowances for transfer of personal effects for the Company’s permanent staff working in Head Office/Servicing Cells/Zonal Offices of IPL, Pragati Bima Division. The Board will approve such tours and travels of Chairman, Vice Chairman and Managing Director. In case of all Executives and Officers Board will approve such tours on recommendation of Managing Director through Administrative Committee. To attract and retain capable human resources, it is important to provide a vehicle as part of many compensation packages. A part of this package could be access to a vehicle whenever necessary. However, in order to keep consistency to such packages it is important for the company to have a formal policy. This policy shall be guided by the Board and be the guideline for the management. Managing Director : As decided by the Board from time to time. Department Head : Full time car (IPL, PBD, Group, Health etc. related with business development activities). Head Office pool : Car/Station-Wagon/Microbus/Jeep for use of day to day office work, field tour for business development, audit, supervision and pickup & dropping of Senior Executives of the company. Following development officers in the rank of SAVP & above will be preliminarily eligible for car facilities. However this is a privilege not a right. The development officer has to be attached with the company for at least 3 (Three) years before applying for car facility. If the Development officer can achieve minimum first year premium income of Tk. 1,00,00,000/- (Taka One Crore) in the previous business year of requesting the car, the officer will then be applicable for car facility. It should be mentioned that the concerned officer has to earn Tk.60,00,000/= (Taka Sixty Lac) renewal premium or Tk,1,50,00,000/= (Taka One Crore and Fifty Lac) first year premium income in the business year for requesting such facility. The concerned officer who has received the car must ensure that he/she has to earn Tk.1,20,00,000/= (Taka One Crore and Twenty Lac) as first year premium in the next business year after receiving the car or 25% more first year premium than the immediate subordinate who is using car, whichever is higher. The company will provide the servicing expenditure for the car 2 (Two) years from the date of providing the car. Other expenditure regarding car will be maintained as per company rules. The Managing Director will justify maturity, potentiality, punctuality, administrative capacity, financial handling and dues with the company of the eligible development officer before sanction a car to an eligible development officer. Additional car/jeep will be given to the Development Department of the Pragatibima Division (PBD) under the supervision of the Head of PBD to monitor and expansion of business throughout the country. Development officers in the rank of Zonal Manager will enjoy car facility whose minimum premium income is already Tk. 50,00,000/- a year plus steady monthly premium income of Tk. 5,00,000/- and above. The vehicles of the company’s pool may be requisitioned by any Executive and Officer (who are not entitled full time car) of the company for official use, with a written approval from the Managing Director. Members of the Board may not requisition the vehicle, unless there is an emergency need. Such an exception must be approved by the Chairman. In such cases, all expenses shall be borne by the user. Anyone using the vehicle must fill out a requisition form at least two days in advance. The Managing Director may approve or refuse such requisition, as he/she considers appropriate. The user must sign a register where it will be clearly mentioned the start time (daily) and the end time (daily) of use. This must be reconciled with the vehicle’s logbook to be maintained by the Driver. All purchases must be in the form of a tender or on the basis of minimum 3 (three) quotations collected form the vendors to assess the current market prices. The company shall only purchase brand new /reconditioned/used vehicle that provide a minimum of one year warranty on all parts and service. All such purchase shall be on lease/cash. If a user is found to undergo disciplinary measures. If the car is being misused or abused. If unauthorized persons are driving the vehicle. If given targets are not achieved. If company policies/laws or contracts are breached. Upon termination or resignation from the services of the company. A car can only be sold through a fair auction open to the public. The highest bidder shall be awarded the car/vehicle. The user however may purchase the vehicle at the market value or at any value set by the Board. Upon retirement, a user may continue to use the vehicle up to 6 months. However no costs shall be borne by the company. A car can be sold after it has been in use for at least 5 years. All vehicles used for more than 8 years should be sold out. However, the fuel for the Head of product lines and Development Officers will be fixed by the Managing Director depending on the business performance of the concerned Head of Line and development officer. Driver for Chairman/Vice Chairman/MD/JMD/DMD/AMD/SEVP/EVP/SVP shall be fixed as per pay scale. The Company will not appoint or be responsible for the drivers use by the development officers. The company will provide allowance for the driver and shall be fixed by the Managing Director. Managing Director will follow the above norms and standard in providing transport for smooth operation and business development of the company. However, the Board authorizes the Managing Director to change any of the conditions for the greater interest of the company in consultation with the Chairman of the Board. The regular employee of the company can apply for advance equivalent to two (2) basic salaries of his/her pay. The amount of the loan has to be adjusted within three (3) months of the disbursement of the advance. The employee does not have to pay any interest for the loan, but will not get any interest from the Provident Fund after his retirement or resignation for the period in which the loan is taken. Home Improvements (Furniture / House Renovations. The interest on the loan will be 12% p.a. and maximum 3(Three) years will be allowed to adjust the loan from the disbursement. About four-fifths of the executives reported that the performance appraisal system in PLIL serves as a control device, it is a good mechanism to control employee. They opined that it should continue. The system review helps the supervising officer to have better idea about strength and weakness in his/her department and enables him/her to make more effective work assignments and improved communication between reporting officer and his/her subordinates. The appraisal review guides the decision regarding salary increment to a great extent. This encourages employees to show better performance. The supervising officer in-charge of appraising his/her subordinates has enough knowledge about his/her subordinate. Manpower is more efficiently utilized. Control device in the form of performance appraisal has helped in accomplishing its objectives of providing better insurance companying service to the people. The performance appraisal system now followed is trait based system and thus neglects the reviews on direct job related dimensions. PLIL Insurance company service rules provide for periodical appraisal of employees and as such periodical performance Review (PRP) was introduced. This was introduced. This was an open system where employees were able to know their strength and weakness. However, for circumstances beyond control, it is unofficially discontinued in most of the departments. Supervising officers are required to rate forms that usually contain traits such as innovative ideas, creative thinking, attitude and loyalty, responsibility etc. which are next to impossible to evaluate objectively and accurately. Subjectivity creeps into the appraisal not only because the formats allowed that, but also because of the individual’s value profile. In many instances last few months before the appraisal dates are crucial in influencing the assessment of appraisers. Repetition of interrelated criteria has made the forms long and complicated. The supervising officers are usually reluctant to give negative feedback from the understanding that they have to work with employees next day. To get promotion from Grade-2 to Grade-1 officer, the employees have to sit for an examination and as such performance ratings for Grade-2 officer regarding promotion have no value. The ARP system focuses mainly on past performance, they look back on what has already happened rather than encourage effective performance in future. Finally, the most important finding is that the ARP system is a confidential appraisal process. Therefore, supervising officer do not discuss appraisals with subordinates. They are also not made aware of their strength and weakness. This non-communication keeps the employees in dark about what is expected of them or where they stand. The ARP forms which are in use, needs to be revised, to make it simple, and short. At the end of the year during the appraisal period the appraisal process should begin with self-appraisal by every employee. To appraise one’s own self on targets and qualities, the Appraisee would go through a process of reflection. In addition, when one reviews one’s own performance, she/he gets the opportunity to become more aware of her/his own strength and weakness. The present ARP system is a closed system and therefore most employees do not know their strength and weakness. To bring improvements an open system should be introduced and the result of the appraisal, particularly when they are negative should be immediately communicated to the employees, so that, they may try to improve their performance. Performance appraisal should be a continuing process and not once a year ritual. Training programs for appraiser should be undertaken by the HRD & R department, so that the supervising officers develop their appraisal skills and fill up the forms more accurately. It is necessary to rate separately for development purpose from those for reward purpose. If the employees are confidentially rated on few dimensions for administrative decisions, biases are likely to be less participation in a development oriented appraisal system will introduce bilateral communication between the Appraiser and Appraise. An atmosphere of confidence and trust should be developed so that the supervisor and the employee may discuss maters frankly and offer suggestion, which may be beneficial for the organization and the employee. This shall reduce biases. Introducing periodic planning conference (PPC). PPC is a regularly scheduled conference between the supervising officer and his subordinates, generally every year or six months through which the supervisor and subordinates will layout a plan of what the subordinates intend to do during the next six months to improve performance and to develop skills. The supervising officer will also discuss ways, which will aid subordinates in accomplishing his next six months goals. This new approach to performance appraisal may overcome most of the drawbacks and will improve the ARP system of PLIL Insurance Company. The Insurance Company should introduce the standards to assess the performance of an employee, for example, the factors responsible to assess such standard are: relevance, accountability, reliability, validity, fairness and practicality.